When Apple, with much fanfare, announced iOS 7 in June, it also quietly confirmed a new feature called iBeacons, which uses Bluetooth Low Energy signalling to enable micro-location services and to trigger actions within apps. Now, Shopkick, the shopping app that lets you flag items you want and then alerts you in store to offers on those products and others you might like, becomes the first company to implement the technology in a retail setting. 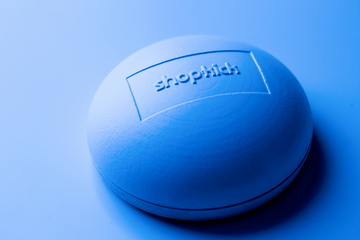 ShopBeacon, as the new iBeacon transmitter is called, begins trials today in Macy’s in Union Square, San Francisco and Herald Square, NYC, before Shopkick rolls it out to more of its retail partners across the U.S.
Those retailers include American Eagle Outfitters, Best Buy, Crate and Barrel, JCPenney, Macy’s, Old Navy, The Sports Authority and Target, among a number of consumer brands that also promote product offers through the app. To be clear, this is not the very first commercial iBeacon deployment. Radius Networks and Washington, DC-incubator 1776 claim that title; 1776 is using it to automatically turn lights on and off in rooms and send targeted messaging around its campus. Shopkick says that shopBeacon at Macy’s, however, is the first major retail deployment of the feature, coming even before Apple’s own implementation in its retail stores (this is expected to debut with an upcoming Apple Store app update). Before today, Shopkick’s business was already a hardware/software double play: the company’s app worked in tandem with a piece of hardware installed in participating stores, and retailers interacted with a dashboard to pass through details and other messaging on them. The hardware worked by emitting very high frequency signals that would trigger actions when a person walked through the doors. Cyriac Roeding, co-founder and CEO of Shopkick, says that the shopBeacons will work in tandem with that model, and vastly improve it. Offers now will be pinged to users right when they are walking past them, or past a department that contains products that users have shown interest in before. And for those who have opted in, the iBeacon technology will also automatically open the app and can trigger other actions when you enter a participating store, such as telling users how many loyalty points they currently have to redeem towards a purchase (in the past users would have had to remember to do this themselves). He says that the low-energy component of BLE is a significant part of the attraction of the technology: services like GPS-based location technology not only are less accurate in terms of location granularity, but those and other wide-area wireless signals tend to work patchily in stores, and they are also drain the batteries. On the shopBeacon side, Roeding tells me that a charged up sensor has a five-year battery life. (Existing Shopkick retailers like Target, Roeding says, may continue to use the legacy hardware alongside the shopBeacons; new retailers will be able to move to the all-in-one devices). For retailers, adding in services like this helps them in their bigger aim of making the physical shopping experience more useful, and particularly to lure back those who have shifted to buying online for reasons of choice, convenience and price. Roeding says that Shopkick has no plans at the moment to incorporate payments into the process. 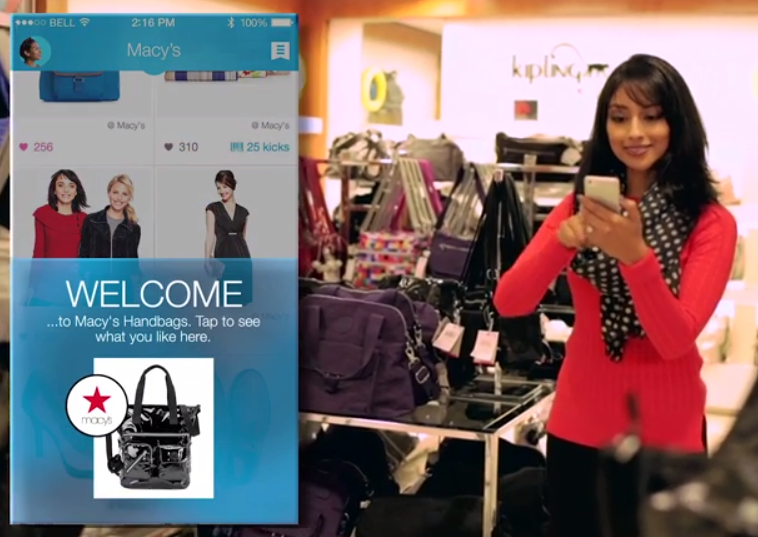 “Services like PayPal’s Beacons are all about payments. We’re focusing on the shopping experience,” he says, emphasizing the last word. Shopkick — backed by Kleiner-Perkins, Reid Hoffman and Ron Conway’s SV Angel among others — has more room still to grow in that area. The shopBeacon comes with an SDK for brands and retailers to customize what alerts, discounts and loyalty points (“kicks” in Shopkick’s platform) are sent through iBeacon. But what shopkick has yet to do is to extend its flagging and tagging service beyond its own platform. Roeding says that he’s already had incoming interest from third parties to be able to incorporate something like a Shopkick widget so that users can add to their shopping lists, so this may be something that we see appearing in the future.